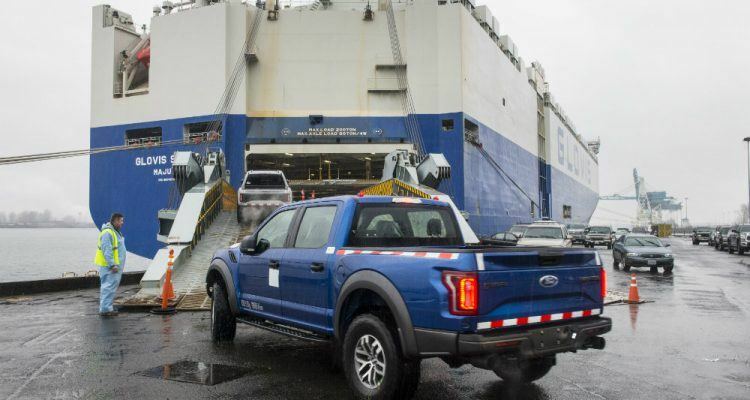 Shipments of the all-new 2017 Ford F-150 Raptor are headed across the ocean to China. 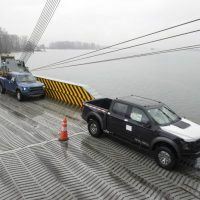 It’s the first time an F-Series truck built in the United States has been officially exported to China. Each model exported is a four-door SuperCrew configuration, with a high-output 3.5-liter EcoBoost engine and Ford-built 10-speed automatic transmission. “Export to China enables us to bring a new group of enthusiasts into the Ford family,” said Joe Hinrichs, Ford President, The Americas. The 2017 Ford F-150 Raptor was engineered for the most extreme off-road situations, and is uniquely at home in rocky, rough, or otherwise desolate terrain. The 2017 Ford F-150 Raptor features a military-grade, high-strength, aluminum-alloy cab and composite body. An advanced six-mode Terrain Management System helps the truck climb over the most brutal spots on the map, like the Baja and Gobi Desert. A Ford Performance-engineered high-strength steel frame with custom Fox Racing shocks allow for better ground clearance. BFGoodrich off-road tires and a dual-performance exhaust add to the Raptor’s presence. For customers in China, the truck’s reputation has proceeded itself. 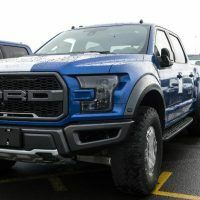 “Ford is one of America’s top exporters, and F-150 Raptor’s appeal and unmatched off-road performance has earned the truck a loyal following around the globe,” Hinrichs said. 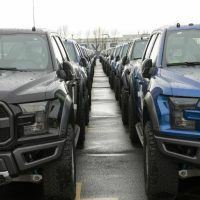 David Schoch, Ford Group Vice President and President, Ford Asia Pacific, noted the blue oval’s commitment to offer a wide range of vehicles for customers in China. “Raptor’s unique looks and capability have generated amazing buzz at every auto show we’ve brought it to around China,” he said. The 2017 F-150 Raptor, built at the Dearborn Truck Plant, is one of more than twelve new Ford Performance vehicles coming by 2020. The Ford Performance line up includes the Focus RS, Shelby GT350, Shelby GT350R, and the fastest Ford on record, the new GT. No Comments on "2017 Ford F-150 Raptor China Bound"